Kembara | ADDIN | Another way for us to speak.. | Page 2 Kembara – Page 2 – ADDIN | Another way for us to speak.. I stand by a statue of St Louis IX at Sacré-Cœur basilica in Paris. He was the King that led the 7th crusade against the Muslims, mainly in Egypt. During the end of the campaign, Egypt Sultan Salih Ayub died, and his widow Shajar AdDur took lead of the nation, streghtened the army under Mamluk command with heroes like Qutuz & Baibars (the ones who will be the first to defeat the mighty Mongol army at Spring of Goliath). This Muslim army defeated the crusaders at the final battle at Fariskur, captured King Louis, and ended the the 7th crusade campaign. King Louis was ransomed at a high price equivalent to a year of France’s annual revenue. It was reported that it took 2 days to count the gold. Phuket merupakan pulau percutian yg terkenal, yg sering dikunjungi pelancong dr serata dunia. Pantainya teramat cantik, paling cantik retina saya pernah jenguk sendiri. Byk benda menarik boleh dibuat. Menaiki ferry cruise, kita akan di bawa ke pulau2 lain di sekeliling Phuket, seperti Phi Phi Island, dan dibawa snorkeling bersama ikan di teluk2 kecil2 spt Maya Bay atau Monkey Bay, etc. Saya amat tertarik dgn geology pembentukan pulau2 tersebut yg pd pengamatan saya nmpk sbg carbonate reef. Kelihatan juga garisan2 erosion dari tide levels yg berbeza. Nampak jelas karstification, caverns & fractures di outcrop tebing2 pulau. Saya rasa pembentukan pulau yg terpisah2 itu sendiri adalah kesan faulting event. 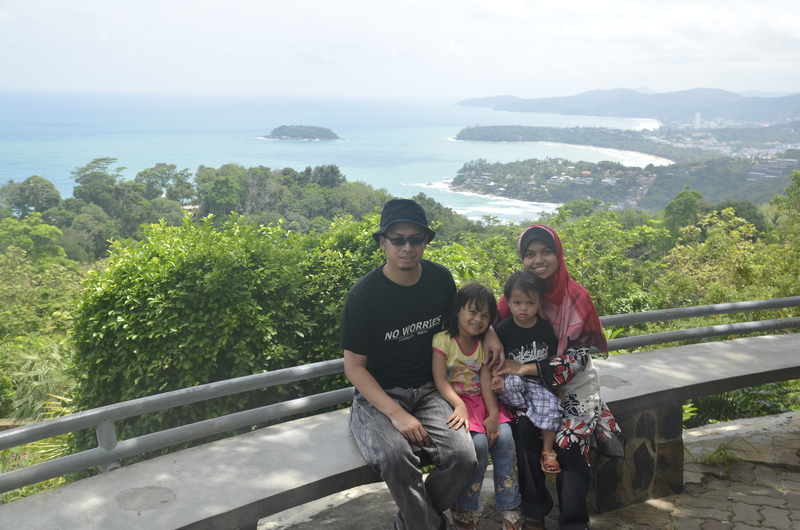 Anyway, Subhanallah.. majestic view..
Mar 2011 – We took a short relaxing holiday to Cameron Highlands, Pahang. Taking the typical highway exit off Tapah, we also took the chance to stop by Lata Iskandar to enjoy the atmosphere by the waterfall. We stayed at Equatorial Cameron Highland, in a 2 room apartment, although our family is relatively small. The place is suitable for a quiet family vacation. There are also some family games, such as pool, down in the lobby. While our trip was more to just relax and escape the bustling city, there were plenty of activities up in Cameron Highlands to explore. We went to one of Strawberry farms for strawberry picking, Butterfly Farm, and Bee farm. We also stopped at a nursery to purchase some flowers for our home in Bangi. We also stopped by Bharat tea plantation to enjoy the beautiful tea tree scenery & buy some tea. As adventurous as our family is, a cool, simple family getaway would still give us an experience to remember.